I'm pleased to report that my sew-jo appears to be returning! My last post where I moaned that my sew-jo had deserted me obviously worked, because the very next day I cut out a top, then sewed it over that evening and the following one. It's very simple, based on my self drafted jersey top pattern, using some cable patterned thick jersey from Minerva Crafts. It's available here in 4 colours, I used the grey. As you can see, it's a very simple shape, just a slightly fitted body with a scoop neck and long sleeves. It came together really easily, and probably didn't take much more than an hour and a half from start to finish. 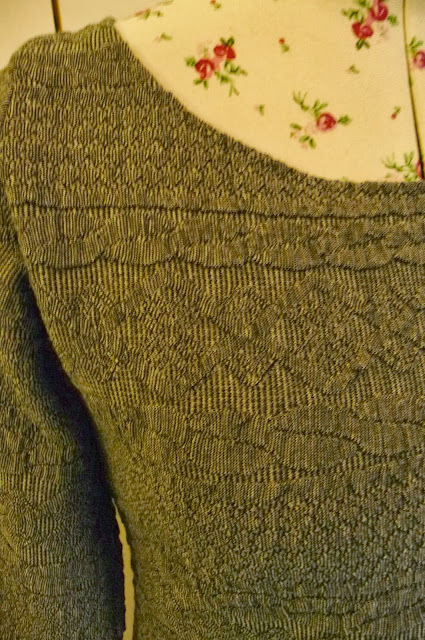 Here's a close up which shows the cable pattern better. I bought 3 metres of this fabric, and used just under one metre for this top, so I've got plenty left for a cosy dress. Now, what will be next on my sewing table......? That's really cool! It looks like you knit a top - but in way less time! Glad your sewjo is back! It's perfect for a quick knitted effect, isn't it? Sam, love ,love that knit.. SO pretty.. Proud your sewing mojo returned.. Look forward to seeing that dress.. Happy sewing. I really like this. Like knitting a jumper but quick! Very quick! I love knitting but it would take years to do anything even close to this. It took a while, but I found it! Nice fabric choice Sam! And a great shape for what's going to be a really useful top. Such a nice and cosy jumper - perfect for fall :) I was wondering if the cables are only printed on the fabric or if they are actually there? I am looking forward to see your dress soon, Do you know already which pattern to use? 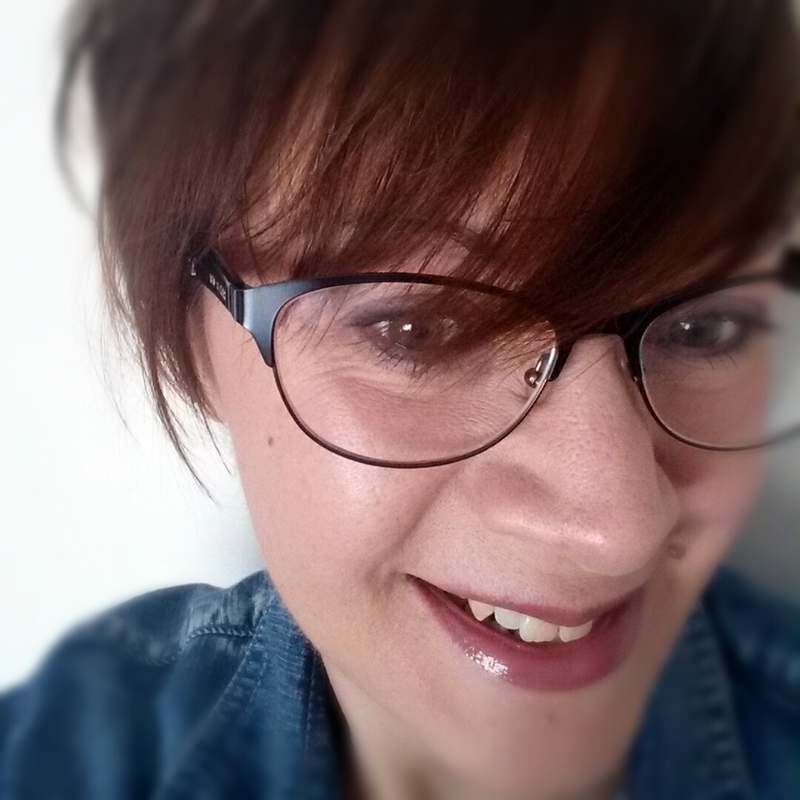 And I am glad you sew-jo is back! The cables are actually knitted into the fabric, not printed on, so it does look like real knitting! I'm not sure which pattern I'm going to use for the dress yet, but it will probably be just a plain straight or A line shape, as the fabric is quite thick. 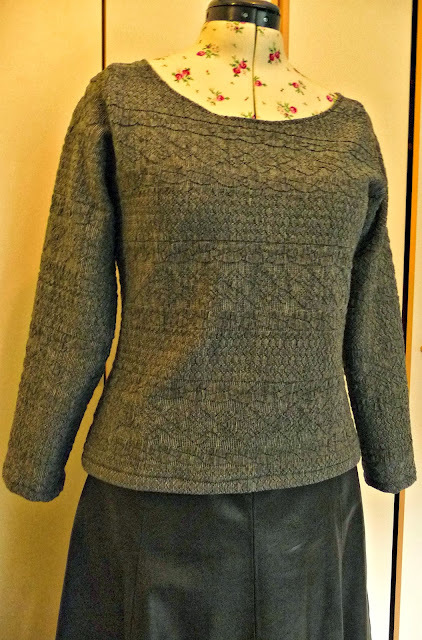 It is a lovely top Sam - the cable pattern with a simple style work nicely. I think a simple dress is a good idea for the dress. Glad you are getting back into the swing of things again. I've got enough left for a dress as well Vicki. I'll have to make it up soon now the weather is turning cold.